The apartment itself is clean, comfortable and well-equipped. The Mantra has a gym and spa/pool. The Staff at the Mantra are outstanding. Anytime you need anything, call, ask and your request is attended to immediately. The location in Southbank Brisbane is the best with restaurants, the river cruises, the Beach, the Museum all within a very short walking distance. Very comfortable apartments in an amazing location right in the heart of South Bank. Would stay there again... which I wouldnt do if I wasnt happy! Breakfast was sensational!!! Thank you. Proximity to city cat and cultural Centre The studio room was spacious and gave us room to relax. Perfect location for the Southbank Food & Wine festival on and it was very nice of staff to text that happy hour was available in the evening. Having an apartment allowed us to entertain friends during the day. Lovely room, quiet and spacious, gym was well set up. Lock in a great price for Mantra South Bank Brisbane – rated 8.8 by recent guests! 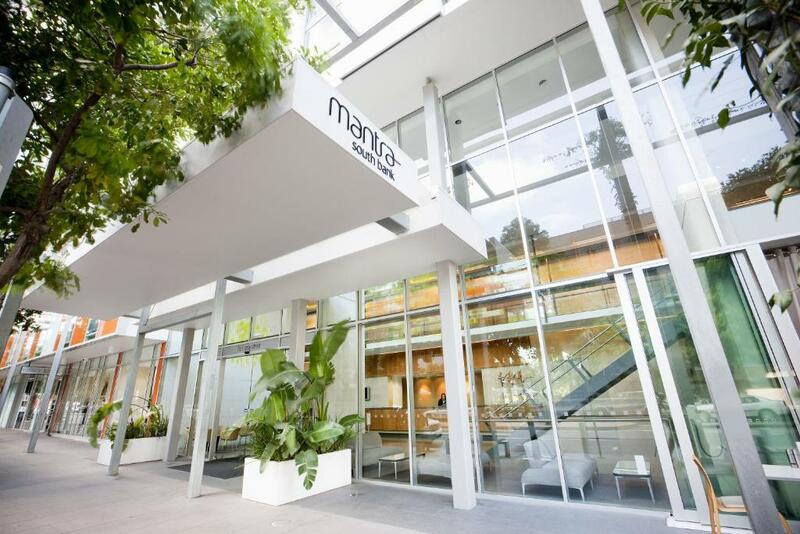 Mantra South Bank Brisbane This rating is a reflection of how the property compares to the industry standard when it comes to price, facilities and services available. It's based on a self-evaluation by the property. Use this rating to help choose your stay! 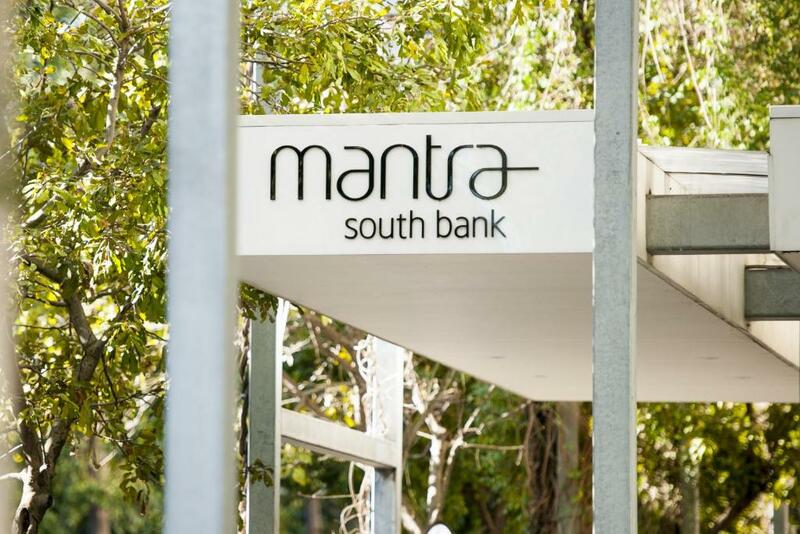 Mantra South Bank is located on the southern bank of the Brisbane River, opposite Brisbane Convention & Exhibition Center. Guests enjoy free access to an outdoor heated pool, a spa pool and a fitness center. All studios and apartments are modern in design and feature a kitchenette or fully equipped kitchen. The apartments have laundry facilities and some have city views. Most accommodations features a balcony. Located in the heart of Brisbane’s cultural and restaurant precinct, Mantra South Bank Brisbane’s on-site Stone Restaurant and Bar offers a sophisticated dining for breakfast, lunch and dinner. Free internet is available via 2 internet kiosks with printers, located in the hotel lobby. South Brisbane is a great choice for travelers interested in riverside walks, entertainment and parks. 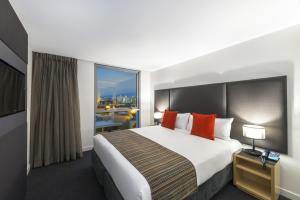 When would you like to stay at Mantra South Bank Brisbane? Spacious studio accommodations with kitchenette facilities and LCD TV. Please note there is no capacity for extra beds. Maximum occupancy is 2 guests. Includes a fully equipped kitchen, laundry facilities, private balcony and spacious living area. This room includes a full kitchen, laundry facilities, private balcony and spacious living area. This spacious room has a minibar, tea/coffee making facilities and a LCD TV. This spacious studio includes kitchenette facilities and an LCD TV. 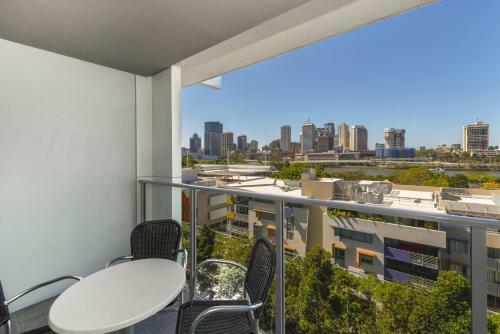 This spacious apartment features a private balcony with city views. It includes a kitchen, a washing machine and a dryer. This apartment has air conditioning, electric kettle and CD player. Please note that these eco-friendly rooms are designed to minimize their environmental impact by offering weekly housekeeping service only. This studio features a CD player, DVD player and mini-bar. This studio has a mini-bar, cable TV and electric kettle. This apartment features a toaster, cable TV and iPod dock. South Bank is home to some of Brisbane’s most famous tourist attractions. Visitors can ride The Wheel of Brisbane, visit the Nepalese Pagoda, which was originally brought to Brisbane for Expo 88, take a dip in Streets Beach and marvel at The Arbour, a bougainvillea clad steel awning that spans 1km. Area Info – This neighborhood is a great choice for travelers interested in riverside walks, entertainment and parks – Check location Excellent location – show map Guests loved walking around the neighborhood! 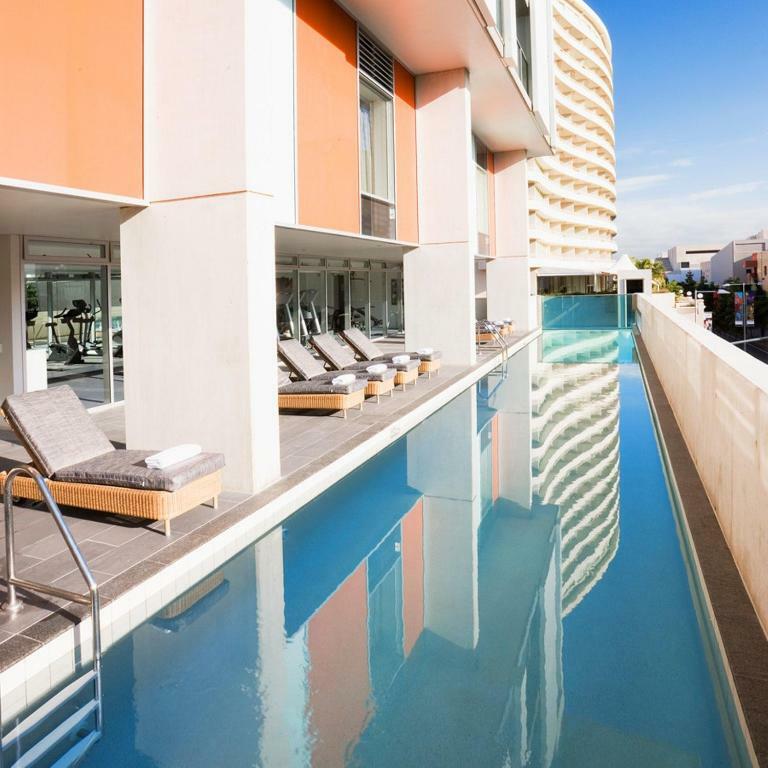 House Rules Mantra South Bank Brisbane takes special requests – add in the next step! A AUD200 damage deposit is required on arrival (around USD142.67). This deposit will be fully refunded 14 days after check-out, as long as there isn't any damage to the property. Mantra South Bank Brisbane accepts these cards and reserves the right to temporarily hold an amount prior to arrival. Please note for bookings of 5 or more rooms, guests must sign the property's Terms of Stay. For further information please contact the property, using the details found on the booking confirmation. A damage deposit of AUD 200 is required on arrival. That's about 142.67USD. This will be collected by credit card. You should be reimbursed within 14 days of check-out. Your deposit will be refunded in full by credit card, subject to an inspection of the property. The website was not helpful regarding the car parking. The parking facility information was minimal and the only helpful info I found was from a past review. However, we had managed to get a spot in the loading zone out the front and were able to simply hand our key in during check in for the Valet service ($40p/n) No reservation is required. 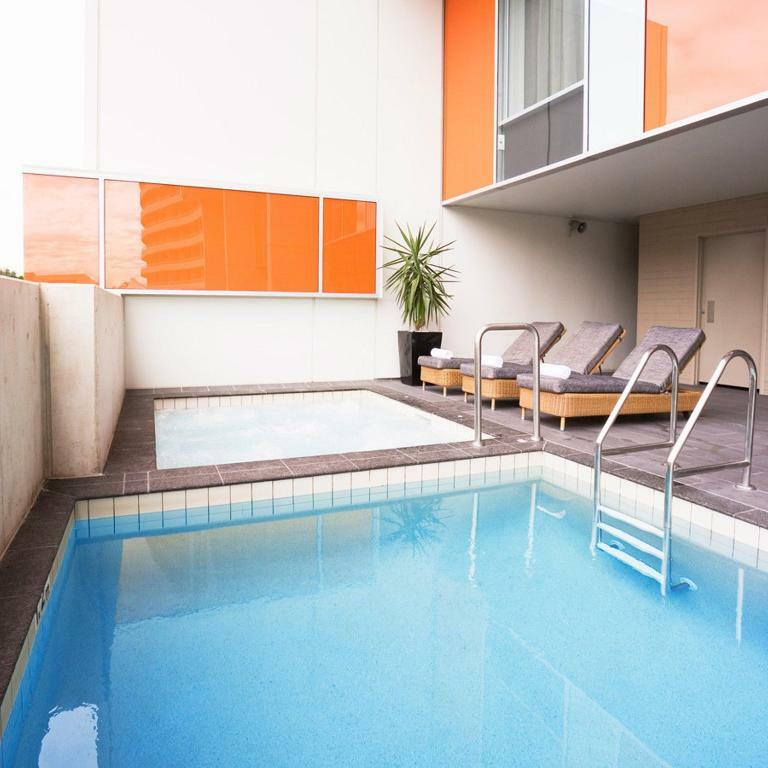 This Mantra Hotel is well positioned in South Bank and an easy walk to the theatre and river front area and Southbank Train and bus terminals. The buffet breakfast, which was included in the price, had a nice choice available and the Studio room we stayed in was very spacious and quiet with a lot of natural light. Very happy with everything but the cost of the Valet parking could be reviewed. Good professional staff who catered for your requirements. A very spacious one bedroom apartment that has a large bedroom and a kitchen lounge room. Close to all restaurants at Southbank but also only a leisurely 10-15 minute walk to the city. Close to the Convention Centre and the Art Centre. Very relaxing. Beyond the lobby it is in need of a repaint / touchup. The room was clean but again a little worn, a sign of a popular hotel. Having said that you don’t spend a lot of time in the hallways so if they are little worn no big deal. After all the bed was comfy and clean. The place is in a brilliant location to head out for a show and dinner. I saw a show at QPAC and had a walk around the parklands. Too much sugary cereals for my liking. The pricing was a bit steep for one night and then extra for valet parking. That bit was a bit disappointing. Great place to stay. My partner and I really enjoyed our stay and the staff were a pleasure. I think $40 per day for parking is unreasonable. We were moved from a room that had faulty air-conditioning, very appreciative.